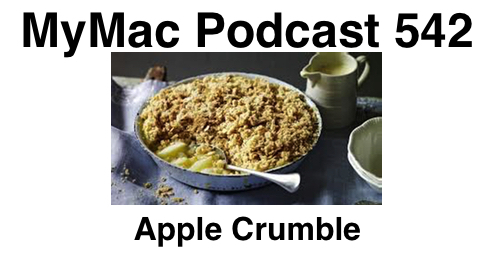 Who doesn’t like Apple Crumble? We sure do unless the crumble part is Apple hardware, software, or services. We talk about where we think nearly every part of Apple’s Empire is going and whether we like that direction or not. Guy’s App Pick : Duplicate Detective by Fiplab $2.99 at the Mac App Store. Finds all those pesky dup files and let’s you selectively delete them. Gaz’s Pick: Free VirtualBox is a powerful x86 and AMD64/Intel64 virtualization product for enterprise as well as home used. Hi Guys & Gazz’s. A useful little app for photographers & website builders is JPEGmini. What this does is to reduce the file size of the JPEG file. In most cases very dramatically. The skill in this app is the analysis of the image. It will keep the visible quality of the image whilst still reducing the size by up to 5x. Especially useful for images where the visual quality shouldn’t be compromised. We have all seem webpages selling something from an image which puts you off before you’ve even got as far as reading the bumph. There are 3 versions. Free, £14.99, £109.99 All offering different levels of amounts of features.